It seems Canada’s lax border policies toward illegal migrants are taking their toll on the city’s emergency shelter system. Figures provided to the Toronto Sun from city shelter staff show that 810 refugees accessed the city’s shelter system in January, jumping to 882 up until March 13. 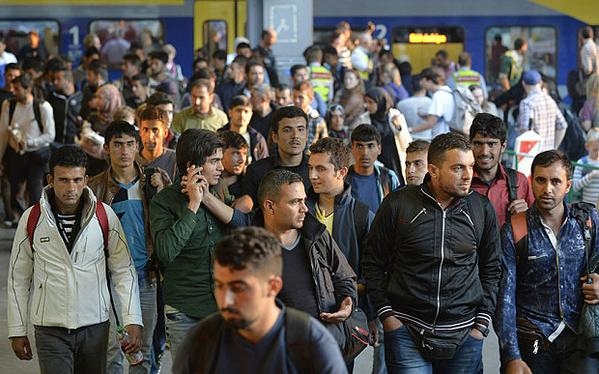 “The numbers we are providing are those who identify as refugees on intake,” she says. Mario Calla, executive director of COSTI Immigrant Services, insists this increase is not from government-sponsored Syrian refugees but “asylum seekers. Sun columnist Anthony Furey recently revealed that a crisis is brewing with illegal migrants crossing the border in between official ports of entry and exploiting a loophole in our immigration laws that allows them to file a refugee claim once in Canada. Although motel beds operate more cheaply per night, at a $74.81 average per diem, those 400 extra beds are costing taxpayers roughly $900,000 per month. And the cost just keeps on soaring. Wading through a myriad of acronyms for various types of refugees, Sue Ann Levy of the Toronto Sun estimates that the Syrians alone will have cost the taxpayers over $1-billion. That’s federal, provincial and municipal money. The exact threadbare pocket doesn’t really matter. It’s the same taxpayer. The 2,200 government-sponsored Syrian refugees who have arrived on Toronto’s doorstep since last February have permanent housing and are being integrated into the community. Community service providers — contacted this past week — also say after the big influx of fully government-subsidized refugees of last February, the plan is to resettle just 700 this year. “The program continues but not with the same intensity as last year,” says Mario Calla, executive director of COSTI Immigrant Services, the agency charged with resettling the 2,200 government-sponsored refugees (or GARs) who have arrived in Toronto since February 2016. Another 2,295 privately sponsored refugees (PSRs) have also come to Toronto in the past year, along with 431 known as Blended Visa Office-Referred (BOVR) refugees, part privately and part government-sponsored. Based on the numbers posted on the Immigration and Citizenship Canada website (now three months old), Toronto has by far absorbed the most refugees in Canada, 10% of the GARs alone. Which brings me to the less than positive news. Untold millions of dollars have been spent and a jaw-dropping myriad of helping agencies have been involved in getting them settled since Prime Minister Justin Trudeau and Premier Kathleen Wynne greeted the first planeload in mid-December of 2015 with expensive winter coats. The actual money the feds have turned over to the GARs themselves and to COSTI and other agencies to resettle them remains a mystery. I tried for two days to get a response from Immigration Canada only to be informed late Friday they were still working on my request. However, based on news reports of one year ago, the Liberals could end up spending far more than $1 billion when all is said and done, more than $100-million of that to settle Toronto’s 2,200 GARs alone. Manuel Alas-Sevillano of Ontario’s citizenship and immigration ministry says they’ve committed $15 million in new funding to “enhance settlement and integration services” for the 17,000 refugees (both GARs and PSRs) accepted in this province. That does not include free dental and health care provided under the Interim Federal Health program and OHIP, he confirmed. Once their first 12 months in Canada are up, the feds no longer provide income support to the GARs and they “either have a job or they go on social assistance until their English level gets better,” says Calla. That’s precisely what is happening. Calla says only about two out of 10 of the GARs have come here able to speak English, compared to 80% of the PSRs. But even if a refugee is privately sponsored — and can speak English — government money has gone into easing their integration into the community with a fresh layer of bureaucrats created to do so. At City Hall, the Toronto Newcomer Office which has grown from three staff in 2015 to six staffers this year and from a budget of $361,000 to $785,000. City spokesman Jennifer Wing said the Newcomer office — which works “strategically” to support the resettlement of refugees but does not help refugees directly — discovered early on that PSRs needed services too. Wing says the office itself doles out money to agencies like Lifeline Syria, Catholic Crosscultural Services and COSTI to “help refugee families directly” while managing an Interagency task force “to facilitate coordination and information sharing,” and organizing information fairs for private sponsors. COSTI got $92,000 from the city, over and above the undisclosed federal money, to help move refugees into permanent housing. Lifeline Syria, which received $65,000 from the city of Toronto this past year, also only works with privately sponsored cases. Spokesman Krystal Thomson says they’ve completed 384 cases involving 1,076 refugees while another 202 cases with 575 refugees are still in the pipeline waiting to be processed by the government. In fact, Mayor John Tory, his wife and his sister have spent $27,000 to sponsor a refugee family through Lifeline Syria that has yet to arrive. According to Tory, the family is “waiting in a refugee camp inside Turkey.” He believes that the delay is because the feds are taking a pause to allow refugees already in Canada to be absorbed. The people of Rutland, Vermont, have gained a measure of revenge against former President Obama’s forced influx of Syrian refugees, voting out the five-term mayor who helped negotiate the controversial resettlements with a federal contractor. 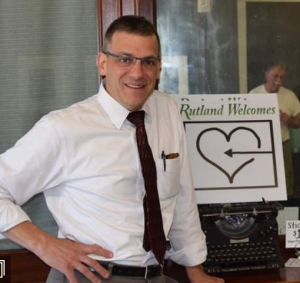 Rutland is Vermont’s third-largest city but still very small, with a population of 16,500. The candidacy of Mayor Christopher Louras went down in flames in Tuesday’s election as he was defeated by the refugee program’s most ardent opponent on the board of aldermen. David Allaire won with 52 percent of the vote to 34 percent for Louras. “That’s not just a win, that’s a drubbing,” said Don Chioffi, an activist who supported the upstart candidate Allaire. Louras came out last April and “announced,” much to the surprise of his residents, that the city would be taking in up to 100 Syrian refugees in fiscal 2017 along with others from Iraq. The announcement divided the city among those who wanted to welcome the refugees – no questions asked – and those who thought the refugee program was being dictated without any local input and with very little information. Protests and counter-protests were organized, attracting national media attention. Unfazed by the division it caused in Rutland, a State Department contractor opened an office and started placing Syrians into the community. More than 98 percent of Syrian refugees are Sunni Muslim while about 75 percent of Iraqi refugees are either Sunni or Shiite, and they’re just now starting to show up in a small town that doesn’t have a single mosque. On Tuesday, Louras paid a price for his role in inviting the refugees to Rutland. City Councilor David Allaire won a four-way race for mayor, stopping Louras from gaining a sixth term. Both Rutland and Rutland County went for Clinton in the November presidential election, with Clinton winning in a landslide in the city but more narrowly in the county with 13,635 votes to Trump’s 12,479. Local activist Don Chioffi, an ACT for America chapter leader in Rutland, said Allaire got no help from the local media. But supporters bypassed the newspapers and TV stations by using social media, meetings and a conservative radio host to get their message out. “The people we talk to always react positively, but you would never know that from the media coverage we get,” Chioffi told WND. Mayor Louras had negotiated an unpopular refugee deal behind closed doors with the United States Committee for Refugees and Immigrants. USCRI is one of nine exclusive contractors that get paid by the U.S. State Department for every refugee they place into U.S. cities and towns. USCRI’s budget is funded 97 percent by federal taxpayer dollars, according to its 2014 IRS form 990. The Canadian Press (March 8, 2016) reported: “Up to 305,000 new permanent residents could be admitted to Canada this year under the Liberal government’s 2016 immigration plan. There is a breathless tone of self-congratulation, like Millennials boasting that they’d just, through struggle and discipline, exceeded their previous personal best in jogging time. However, there’s no struggle here — except for the huge pool of unemployed Canadians — just the flourish of the Minister’s pen. A press release put out by the newly re-named Department of Immigration, Refugees and Citizenship boasted: That this year there is “a special emphasis on family reunification.The Government of Canada has an ambitious plan to bring in between 280,000 and 305,000 new permanent residents in 2016. As we continue to show our global leadership, Canada will reunite families, offer a place of refuge to those fleeing persecution, and support Canada’s long-term economic prosperity. The Liberals are paying off the selfish minority lobby — upping the number of people brought in through “family reunification.” These people need only a medical and criminal check to slide in — no necessity to speak one of our official languages or have any discernible job skill. Showing our “global leadership”? No, Justin Trudeau gets to primp and impress internationalist admirers like mega billionaire George Soros at Davos. Soros strongly supports the Third World invasion of Europe. Almost as an afterthought, the government announcement recycles the old lie that we need immigration to grow our economy or “support Canada’s long-term economic prosperity.” How? So, the Trust Fund Kid’s answer is to increase immigration. Further, adds the Globe report: “Across the country full-time employment fell by 52,000, while part-time jobs rose by 49,500. … The unemployment rate in [Alberta] jumped to 7.9 per cent” surpassing traditionally high unemployment Quebec for the first time in decades! The GTA (or Greater Toronto Area — Toronto, Mississauga. Vaughan, Oshawa, Hamilton) annually receives over 125,000 immigrants. It is the major immigration destination along with Vancouver. The Mississauga News (March 10, 2016) under the headline “Gloomy hiring prospects in Mississauga” notes: “It’s not good news for job seekers in the second quarter of 2016, according to the latest Manpower Employment Outlook Survey, ‘Survey data reveals zero per cent of employers plan to hire for the upcoming quarter (April to June), while 10 per cent anticipate cut-backs.” This area is one of the better off parts of Canada in terms of unemployment — 6.8 per cent a bit below the national average. Yet, even here employers are not hiring. The biggest winner from the latest immigration figures is the business lobby. It gets a growing pool of unemployed Canadians and that keeps wages low and stagnating. The people who suffer are unemployed Canadians and recent school graduates looking for full-time work. The Trust Fund Kid’s response to them is not “sunny ways” but a big “Screw you!” To make their lot even worse, they will be competing with 305,000 newcomers generously ushered in by the Liberals. 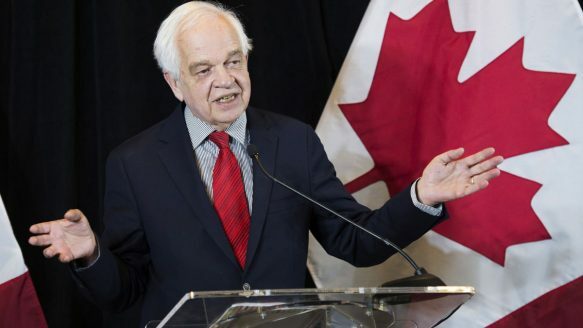 Immigration Minister John McCallum says up to 305,000 new permanent residents could be admitted to Canada this year under the Liberal plan.